What if we controlled our own energy? Much has been made about the closure of Diablo and the difficulty of replacing that semi-clean energy with totally clean renewables. What if we could make that happen for realz? Well, SLO county (along with Ventura and Santa Barbara counties) is looking into adopting a Community Choice Energy program to give our 1.5 million residents the option of following in the footsteps of Marin, Sonoma, Alameda, SF, the East Bay… and many others. This would create local green jobs, lower our electricity rates, reduce our carbon footprint, encourage energy innovation, and empower homeowners and landowners to become their own power plants. Seriously, it’s the best thing since sliced bread and it could be oursss, all OURSSS. You just have to want it. Get involved with our local non-profit advocacy group, SLO Clean Energy, before you pay that next PG&E bill! Building permits for two new hotels have officially been issued. First up is the 80-room Hotel SLO, part of the Chinatown project, which will be operated by the swanky Piazza Group out of northern California. Better start saving pennies now. In NoMo (that’s North of Monterey Street for you slackers), the YUGE 102-room Monterey Hotel will bring at least 37 pieces of flair to a part of town that’s quickly adding more and more excitement. Grab that cash and make a stash. 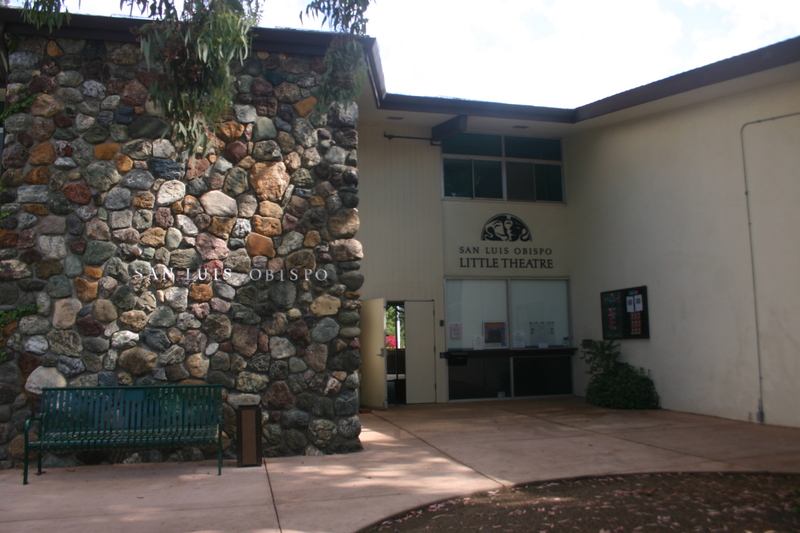 “Oh the Wells Fargo Wagon is a comin’ down, oh please let it be”…new digs for SLO Little Theatre? The stage where the magic happens belongs to the city of SLO, who’s playing take-backsies to redevelop. Recognizing Little Theatre’s decades-long contribution to downtown’s vibrancy, the city’s passing a peace pipe to the tune of a $2 million parcel at Monterey & Nipomo in downtown’s cultural corridor. All jazz hands on deck to raise funds for the new theatre! I do believe. I do, I do! Local workforce and affordable housing advocates cheered the release of some light bedtime reading material last week. The 3,200 page Draft Environmental Impact Report for the proposed Avila Ranch, the SLO housing community off Buckley Rd, is in the 45-day comment period where peeps have until Jan. 11 to comment on the project’s impacts. 75% of the proposed 720 homes (built over 8-years) would be priced at or below workforce housing levels, AKA, you might not need to hit up the ‘rents for down payment help. Let’s Make Museums Great Again! PG&E makes it rain to ease closure. In case ya missed it, Diablo is closing. It means a massive loss in local tax revenue to the tune of almost $26M per year. That’s not to mention the near $1B (yes, B, as in billion) the plant brings to the local economy! PG&E is cementing their commitment to the community with an impact settlement between $122.5 and $147.5M. Most of the funds are for the kiddos. Further deets here. The 5-year plan to handle your shiiiiit.